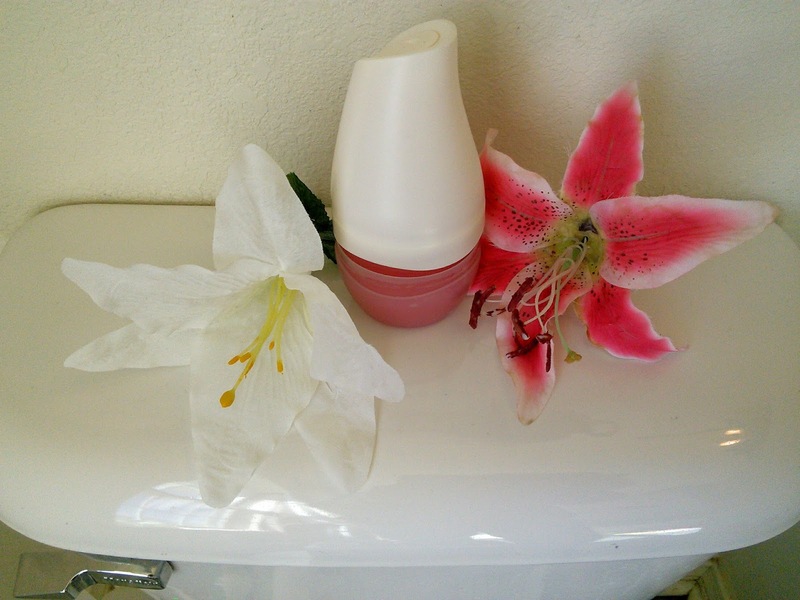 Are you bothered by the scent of strong air fresheners? Then check out new Renuzit® Sensitive Scents. Most air fresheners, especially the plug in ones, are too strong smelling for me. Their strong scent bothers my allergies and makes me cough. 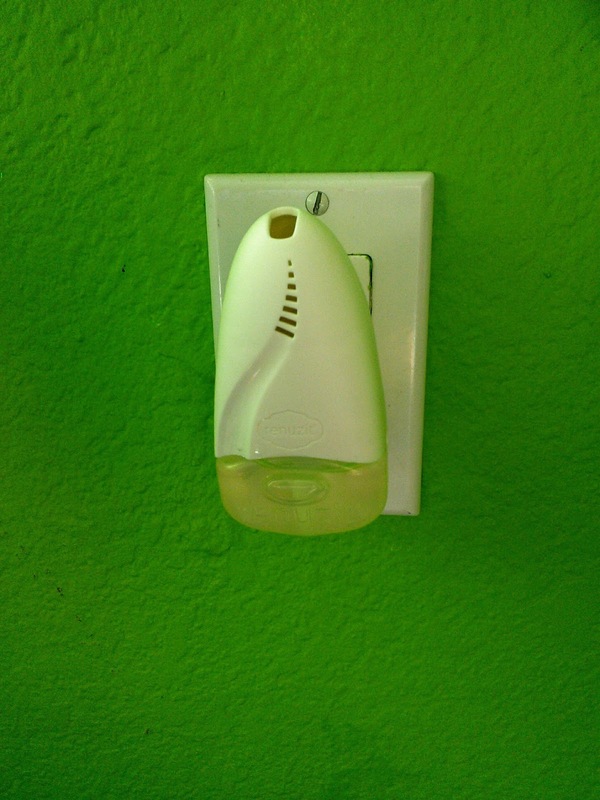 I want my house to smell nice so I usually use the air fresheners in rooms of my home that I don't spend a lot of time in, like the bathrooms. That way I can still enjoy the scent, but at a distance. 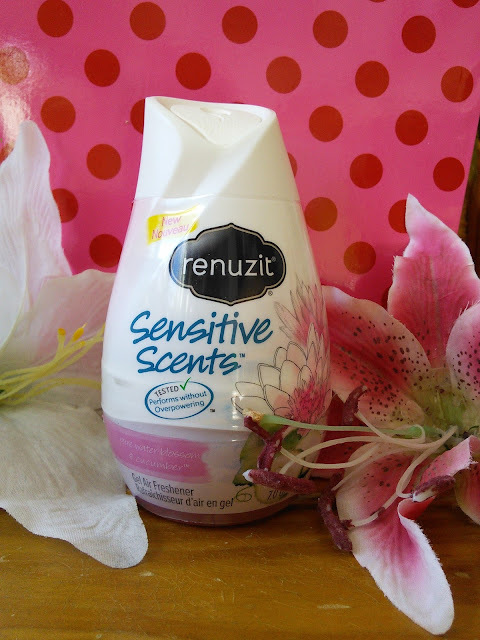 So when Renuzit came out with their new Sensitive Scents, I was excited to give them a try. I was a little bit apprehensive to try the Renuzit Sensitive Scents as my seasonal allergies were bothering me. I was already coughing from that and I did not want anything else to bother me. I was worried that the scents from the products might be too strong, but I was pleasantly surprised at how light the scents were. The first product that I tried was the trigger deodorizing spray in the Pure White Pear & Lavender scent. I sprayed it into the air and inhaled the scent. The scent was light but still fragrant. It had a nice natural lavender aroma to it. I could use this one in the bedroom and spray it before bed as the scent would help me drift off to sleep. I placed the Pure Water Blossom & Cucumber adjustable scent cone in my bathroom. The scent was floral like being in a field of flowers. This one would do a great job of keeping my bathroom smelling nice and it lasts up to 4 weeks. The Pure Ocean Breeze scent reminded me of laundry day and my boys enjoyed the scent that came from the universal oil warmer. I place the universal oil warmer in the hallway near their bedrooms so they could enjoy it as they drifted off to sleep. The best part of these new products is that I could be in the same room and enjoy the wonderful aroma. The scents were not strong and they did not make me cough. I am so glad that Renuzit came up with light scents for us sensitive people. I can now make my home smell wonderful.These long lasting scents are available in stores now! 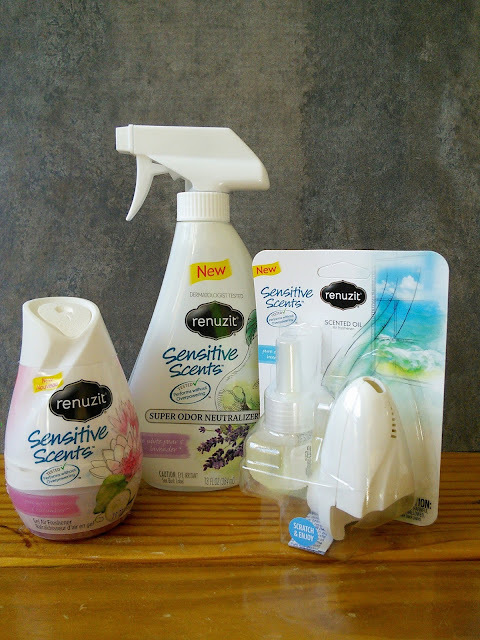 I have 2 coupons for free Renuzit® Sensitive Scents to giveaway to one lucky reader. Just enter on the giveaway form below and good luck! Organic Whole Food Bars They are great for my Family of 6 who is always on the go i love the convenience of just popping them in my purse . The product I would like to try most is the Extra Virgin Coconut Oil. I would like the try the Perfect Food® Berry. I like that it is made from whole fruits. I'm interested in the Super Seed product. the Extra Virgin Coconut Oil. I would like to try the RAW Protein in chocolate. My doctor wants me to get more protein. I would like to try the Herbal Immune Balance Sinus. I have sinus issues all year long. I like the Raw Protein! I am interested in the fücoTHIN® GREEN product on the GardenofLife site for weight management. I like the Dr. Formulated Fitbiotic. I will have to check these out. My kids get really smelly! The Organic Plant Food is an excellent source of plant protein - a source I truly need. I would like to try the Pure White Pear & Lavender scent. I have never heard of this combination before. Pure ocean breeze. I miss the beach! I look forward to finding the Fresh Ocean Breeze in our local supermarket. But I know I'll actually purchase all of the scents to use throughout our home. The White Pear and Lavender sounds really nice. I've been hearing about these. I bet all these smell amazing!! 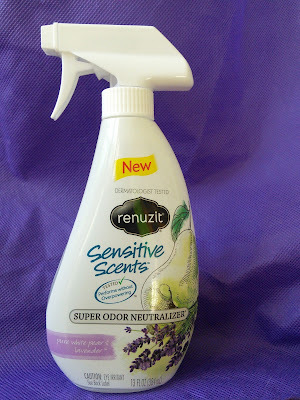 The first of these new Renuzit scents I want to try is Pure White Pear & Lavender. I'd like to try the White Pear & Lavender. I would try the Pure Water Blossom & Cucumber first. I would use them all for I use Renuzit all the time. I would use the Renuzit cone first for I have those in my bathroom and kitchen. Pure Ocean Breeze sounds amazing and summery! Just what I need right now! I'm so happy that they have a product that's perfect for people with sensitive noses! That's really something I can use at home without worrying about my allergies. I won't have to sneeze all day! I love that it neutralizes the oders instead of just covering it up. It sounds really nice. I too don't like things that smell too heavy. I never leave the grocery store with air fresheners! Will have to check these out. I need to get som air fresheners. With two boys the house can get a little stinky. I would love to try Pure Water Blossom & Cucumber, Pure White Pear & Lavender and Pure Ocean Breeze. I'm a Mommy of three canines and I'm always looking for natural-smelling options to keep my home fresh. Looks and sounds a great give away. I will check this out! Pure Ocean Breeze brings to mind summer at the shore. I would try this scent hoping it would remind me of vacations. I find that scents are either too strong or you can't smell them at all. It is really difficult to find one I like that lasts a decent amount of time. Definitely would love to try the Pure White Pear & Lavender scent. I would like to try the Pure white pear and lavender scent. I would love to try the sensitive scents, since some ca be overbearing at times. I love air fresheners. I have plugins around my house but I end up not smelling them at all after a while. These sound great. Love all these sensitive scents, traditional ones make me sneeze! I love the sound of Pure Water Blossom & Cucumber. I bet it's smells wonderful! I love light and clear scents. I want to try water blossom & cucumber. I would want to try the Pure White Pear & Lavender scent first! I would like to try the Pure Water Blossom & Cucumber scent. White Pear and Lavender sounds really good. I would love to try the Pure ocean breeze. I do sneeze a lot when I am around heavy perfumes or scents. This is exactly what I need. I would love to try the Pure ocean breeze Renuzit® Pearls Scents first. I had the chance to try this myself and I love how refreshing these scents are! 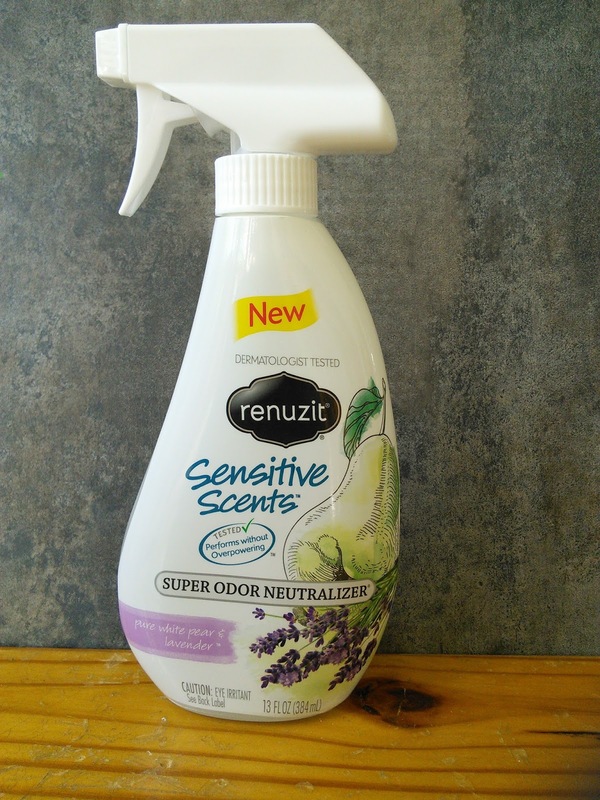 I like the idea of the super odor neutralizing pure white pear & lavender spray and would like to use it for the bedroom at night and around the doggy bed areas to help with any dog smells. I'd like to try the Pure White Pear & Lavender scent first. I would like the pure ocean breeze but all the scents sound great. The first 3 scents I would like to try is Pure White Pear & Lavender,Pure Water Blossom & Cucumber, and Raspberry. I would like the Fresh Ocean Breeze! I would love to try the Pure White Pear & Lavender scent. I am most interested in trying the Pure Ocean Breeze scent. I would like to try the Pure Water Blossom & Cucumber first. The pure ocean breeze seems like it would smell great. I would love to try Pure Water Blossom & Cucumber. The Pure White Pear & Lavender scent interests me the most. When I first heard of that one, I wanted to try it first. I would like to try the Pure Water Blossom & Cucumber first. Then the Pure Ocean Breeze and Lavender. Pure Water Blossom & Cucumber sounds really nice to me! The Pure White Pear and Lavender sounds good to me. I can't wait to try the Pure Ocean Breeze! I think I would like the Pure Water Blossom & Cucumber scent the best. I would like to try ocean breeze first. i would go with the Pure White Pear & Lavender. I would love to try the pure white pear and lavender. I'd like white pear and lavender. I would like to try the lavender scent first! I would love to try the Water Blossom and Cucumber. I would like Ocean Breeze. Water Blossom and cucumber sounds really refreshing!! I would love to try the Pure White Pear & Lavender. I would like to try the fresh ocean breeze! I would like to try them all! But if I had to choose just one it would be the scent: Pure Ocean Breeze. I would love the Pure ocean breeze scent. The other scents seem lovely,too. I would love to try them all. I would try anything with berry in it. I love fruity scents! I would love to try the Pure Water Blossom & Cucumber. i want to try the pure white pear and lavender. it is going to smell amazing. Pure Ocean Breeze would be my scent of choice. I would like to try the Pure White Pear & Lavender scent first. Pure White Peanuts and lavender would be my choice. I'd like to try the pure white pear and lavender. pure white pear and lavender for me! thanks so much for the chances to win. I would like to try "Pure Ocean Breeze". Pure White Pear & Lavender is the one I would like to try. I would try Pure White Pear & Lavender first. I would love to try the Pure Ocean Breeze first. No place better than the beach! I would definitely want to try the Pure White Pear & Lavender scent first. They all sound great though! I would like to try Pure White Pear & Lavender because Lavender is my favorite scent. the first scent i would like to try is pure water blossom and cucumber! thanks! I'd like to try the Pure Ocean Breeze scent first! The scent I want to try is Pure Ocean Breeze!! Thank you!! I would try the Pure White Pear & Lavender first! I would like to try the Pure Ocean Breeze first and foremost. The Pure Water Blossom and Cucumber scent sounds amazing! I most want to try the pure ocean breeze scent. I would like to try the White Pear and Lavender. I would love to try the Pure Water Blossom & Cucumber first. I would like to try Pure Water Blossom & Cucumber, it sounds amazing. I would love to try the white pear and lavender.It sounds so beautiful! 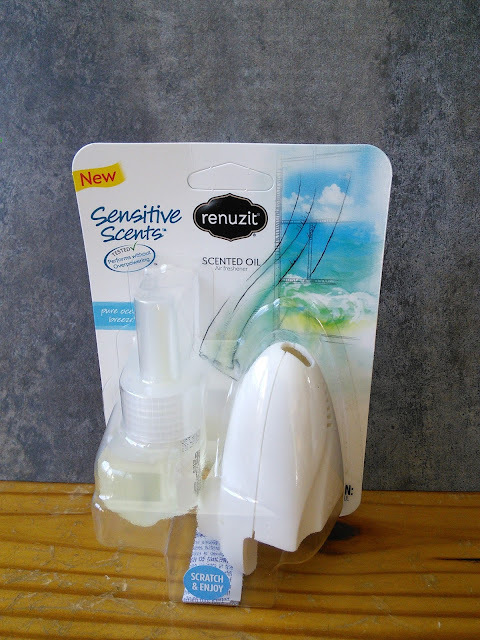 We would like to try the Renuzit Sensitive Scents - Pure Ocean Breeze ! I would like to try the Pure White Pear and Lavender first.